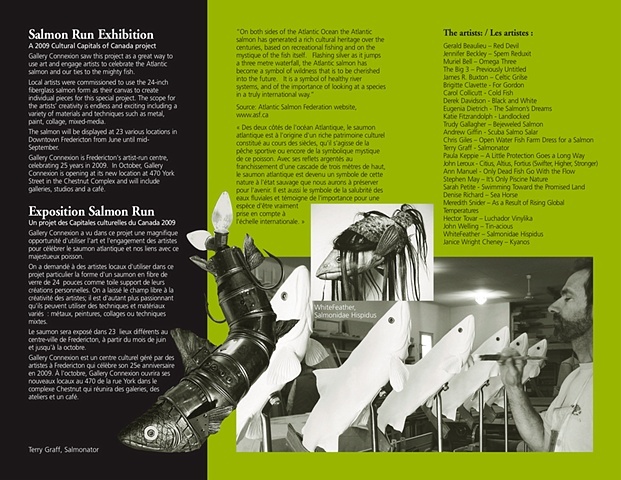 Salmon Run was a fundraising project for Gallery Connexion, supported by the City of Fredericton through the Heritage Canada Cultural Capitals 2009 program. 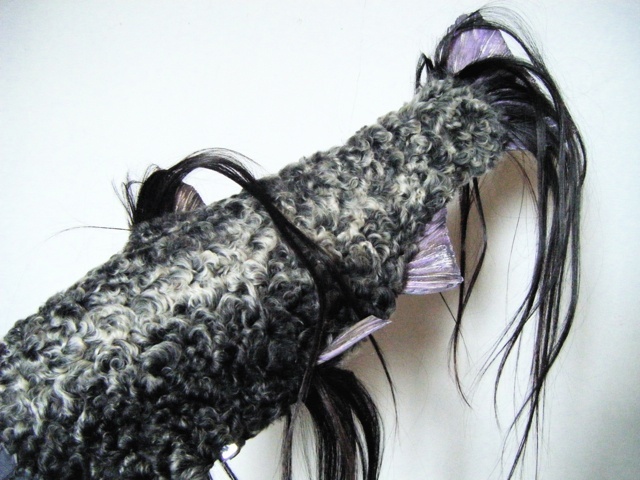 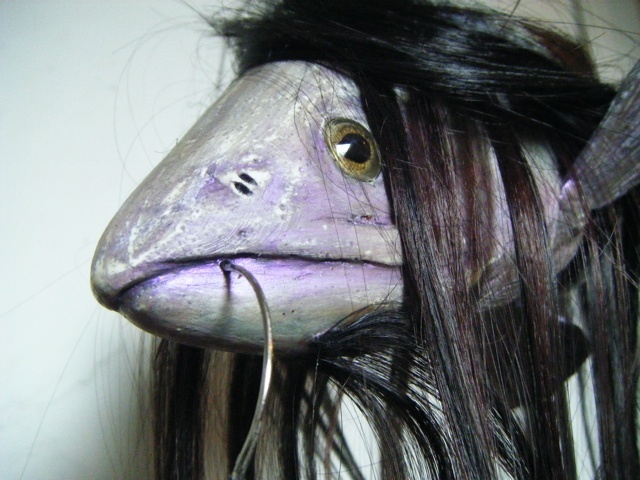 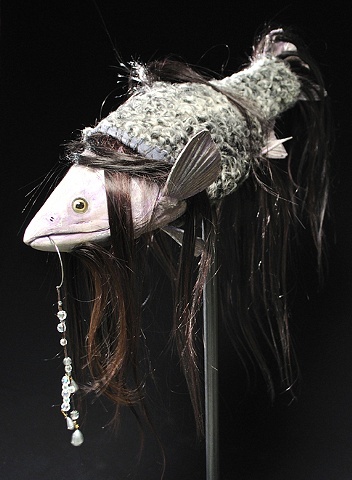 Twenty-five different artists were selected by a jury to 'decorate' a salmon. 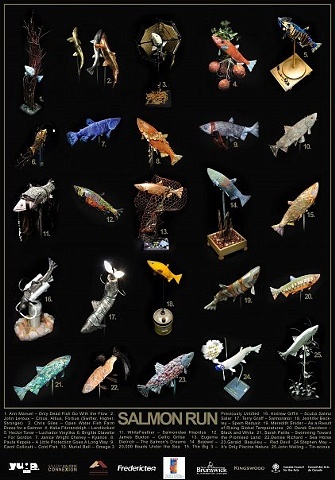 Fiberglass salmon forms were produced by Fabinex and given to each artist. 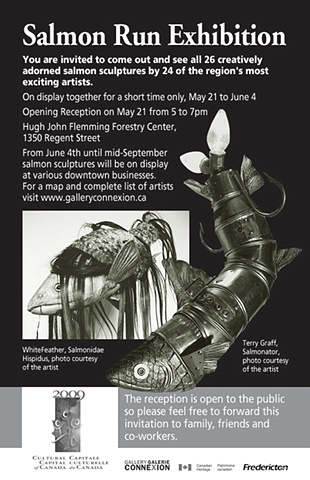 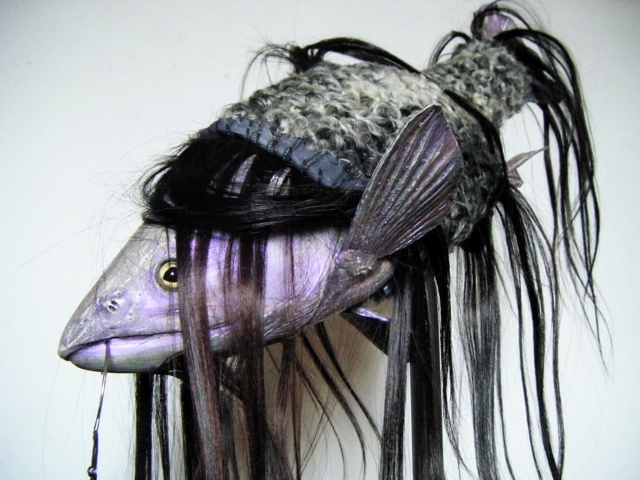 The completed works, extremely varied in their approaches, were exhibited from June - October 2009, first at the Hugh John Flemming Forestry Complex, then at different selected businesses in downtown Fredericton (WhiteFeather's Salmonidae Hispidus was shown at Sue Lawrence Hair, Spa & Gallery) and finally culminating in an auction in Gallery Connexion's brand new space in the Chestnut Complex.